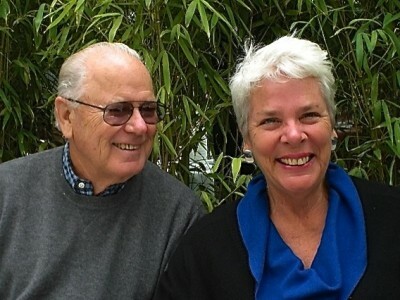 Tad Bartimus is an award-winning journalist, author, originator of Talk Story, Write Story © workshops, and now the program’s co-director, with her educator/journalist husband Dean Wariner. Tad started Talk Story, Write Story in 1998 primarily to work with Native Hawaiian students in Hana, Hawaii who were trying to write their way into college and scholarships. An invitation from the Association of Alaska School Boards expanded the effort in 2013, with teachers from the Arctic to Southeast Alaska attending Talk Story, Write Story workshops to learn how to accomplish the same goal with Native Alaskan students. The program’s goal is to guide teachers through their own personal writing so they can teach students how to showcase their heritage, personalities and dreams in essays that earn college admittance and scholarships. Talk Story, Write Story’s intended legacy is to pass on a writing template that strengthens teachers’ and students’ lifelong ability to overcome obstacles through self-examination and creative expression. Talk Story, Write Story is Tad’s fourth career. Shattering glass ceilings in journalism from the 1960s onward, she was The Associated Press’ first female bureau chief (Alaska, 1974) and first female special correspondent (1990). She was an AP correspondent in Vietnam, one of only three women sent by AP to report the Indochina war. After Alaska, she was based in London, then on a roving assignment in Latin America, before returning to the U.S. as a special correspondent. Twice a finalist for the Pulitzer Prize in feature writing (1989, 1991), she was also honored by the Associated Press Managing Editors Association for her writing 14 times. Among other honors, she received Headliner, Inter American Press Association, and Association for Women in Communications awards in her 30-year journalism career. Tad founded the Journalism and Women Symposium (www.jaws.org) in 1985. It began with a gathering of 14 women in her living room, and now has nearly 1,000 members worldwide. JAWS aims to help women journalists and writers achieve their full potential while furthering journalistic and creative freedoms. When illness associated with Agent Orange exposure compelled Tad to leave the AP she was named Atwood Professor of Journalism at the University of Alaska Anchorage (1993-96), one of two women who have held that post. She and her UAA students created the Journalism and Communication Department’s general-circulation magazine, True North, which continues today. 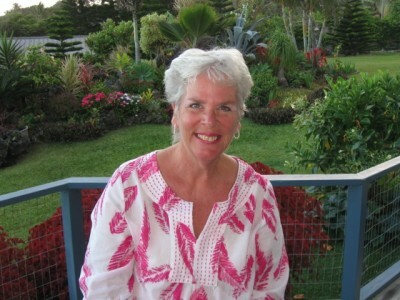 Tad’s UAA students’ stories inspired her to write her own when she moved to the tiny town of Hana, on Maui, in Hawaii. She became a columnist for MSNBC.com and EMMY© Magazine, and a commentator for Alaska Public Radio. She also launched her nationally syndicated column Among Friends from her basement in 1998, then formed The Women Syndicate to sell it. United Features Syndicate, a Scripps company, took over distribution to major newspapers around the country in 2002. 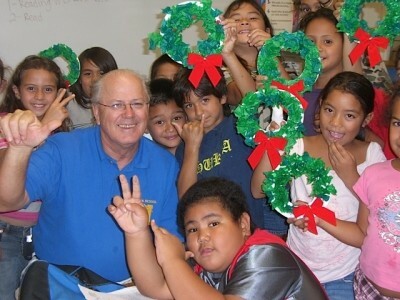 Tad ended the column in 2010 to become a mostly-fulltime writing coach for Hana (HI) High School students trying to “talk story, write story” their way into college and earn scholarships to pay for it. Tad is an alumna of the Rock Bottom Remainders. When she is not writing or teaching she is swimming, cooking, wandering, or sitting on her deck, thinking about her next adventure with Dean. 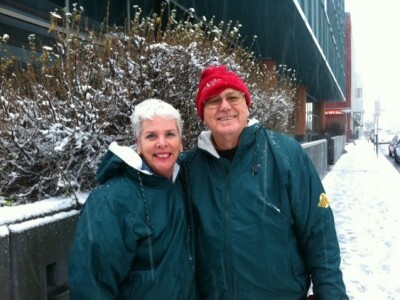 Dean Wariner is co-director, with his wife Tad Bartimus, of Talk Story, Write Story © workshops. 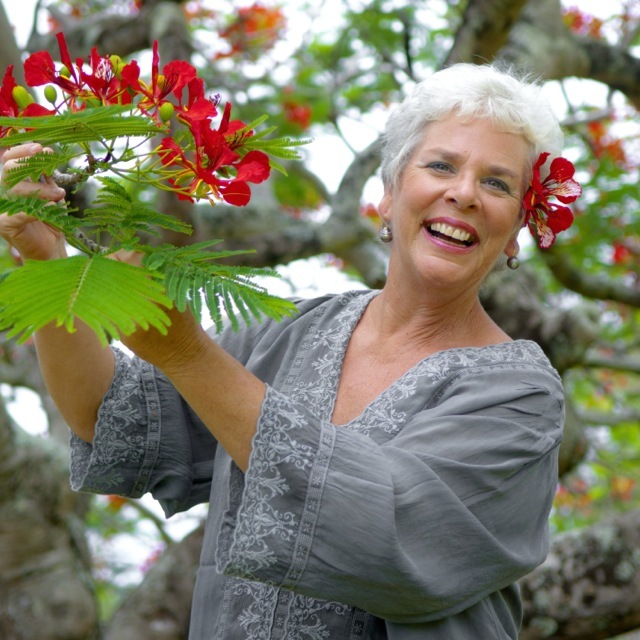 An educator and artist, and former newspaper editor, he and Tad live in Hana, Hawaii. 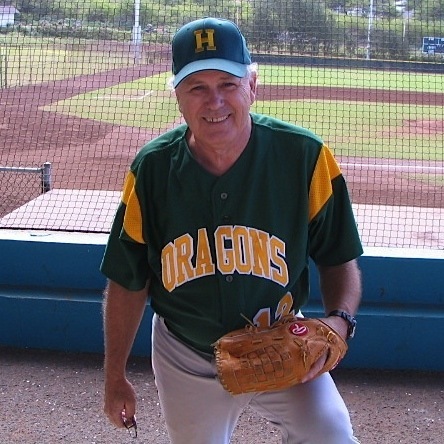 After a distinguished career as a journalist and filmmaker in the United States and abroad, he and his wife, writer Tad Bartimus, came to the East Maui coast as permanent residents in 1996, when he was hired, at age 56, to be a teacher at Hana School. The move followed three years of study at the University of Alaska-Anchorage, where he earned Master of Teaching and Master of Fine Arts in Creative Writing degrees. As a novice educator in an under-funded public school with 72 percent of its K-12 students living at or below poverty level, Dean learned that life experience and personal flexibility is as important in teaching as professional credentials. In his 11 years of fulltime teaching at Hana School he taught all subjects in 6th and 8th grades, and rotated through all high school classes. 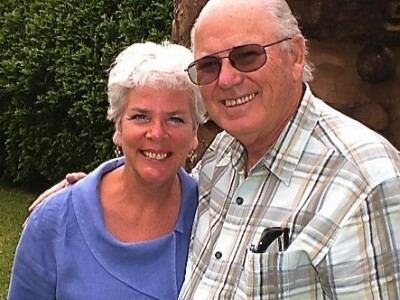 He also was the assistant baseball coach and drivers’ education instructor. A day after his 2007 retirement he was back in the classroom, in demand as a highly qualified substitute teacher. He reluctantly took his name off the sub list when he and Tad began commuting to Alaska to teach their writing workshops. Dean now balances volunteer tutoring with his job as co-director of Talk Story, Write Story ©, a mentoring program created in 1998 by Tad to help Hana High’s juniors and seniors write their way into college and earn scholarships to pay for it. The pair now divides their time between their professional Talk Story, Write Story © workshops in Alaska and Hawaii, and continuing to build their home in Hana. Born in Phoenix, Arizona on May 5, 1941, Dean grew up in both Phoenix and San Diego while his contractor dad commuted between building projects. He graduated from Camelback High School in Phoenix and earned a bachelor’s degree in journalism from San Diego State University in 1965. He paid is way through college working as a sports writer for the El Cajon Daily Californian and a wire photo operator at the San Diego Union-Tribune. After graduation, he was selected for the Copley Training Program operated by The San Diego Union. After a year’s internship he was hired as a general assignment reporter in the El Centro, CA., bureau. In 1967 he followed a former boss north to Alaska, becoming assistant news editor at the Fairbanks Daily News-Miner, then moved to the University of Alaska-Fairbanks’ public information office, where he published a weekly staff newspaper, hosted television and radio public affairs programs, and produced recorded interviews with faculty and staff for distribution to radio stations around the state. In 1970, Dean returned to the News-Miner as News Editor, until the Alyeska Pipeline Service Company, an umbrella consortium for international oil conglomerates building the trans-Alaska pipeline, hired him in 1975. He spent the next two years in Alyeska’s media relations department, shepherding reporters up and down the 800-mile route while filming construction of the world’s largest private construction project and producing television documentaries for global distribution. In mid-1977, when pipeline construction wound down, Dean joined Tad in London, where she was based for The Associated Press. He attended Goldsmith’s College of Art while freelancing photos and stories for AP and other news outlets, often illustrating Tad’s stories throughout the British Isles. In January 1979, the pair embarked on a nearly year-long AP roving reporting assignment, backpacking through Latin America from Belize to Peru to produce a 40-part series of stories and pictures that earned them a coveted award from the Inter American Press Association. For the next 13 years, based in Colorado, Dean freelanced as a writer and photographer, became Estes Park’s fulltime high school baseball coach, taught himself watercolor landscape painting resulting in several one-man shows, and ran the couple’s Shining Mountains Inn while Tad traveled as a national AP roving correspondent. 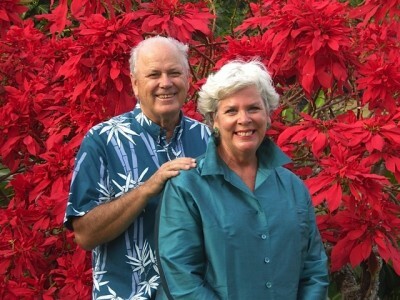 The couple’s desire to spend more time assisting high school kids with their education motivated Dean to earn the degrees to become an accredited teacher in Hana, their favorite place. Their lives on the isolated, rugged East Maui coast have exceeded their dreams, with many of their experiences archived in Among Friends, the nationally syndicated weekly newspaper column Tad wrote between 1998 and 2010 (www.tadbartimus.com). Also, since 1998, Talk Story, Write Story © has helped Hana home-grow nine Gates Millennium Scholars and dozens of Hana graduates’ success stories. In 2013, Dean and Tad were invited to share their successful personal essay program with English teachers and counselors in rural Alaska schools with predominantly Native Alaskan students. Teachers from Ketchikan, Metlakatla, Chevak, Bethel, the Pribilof Islands, Haines, Dillingham and elsewhere wrote their way through intensive four-day writing courses to be able to help their juniors and seniors craft compelling essays that could earn them college admittance and scholarships. In July, Alaska’s six-week summer Upward Bound program invited Talk Story, Write Story © to be part of its College Preparatory Academy curriculum at the University of Alaska-Fairbanks. CPA’s students, all entering their senior year of high school, each produced eight lengthy essays about themselves, as well as a personal video based on their writings. The kids took their essays and videos back to their villages to share with next year’s seniors, hoping they, too, will take advantage of Upward Bound’s college prep. Dean and Tad hope to be there next year to welcome them. 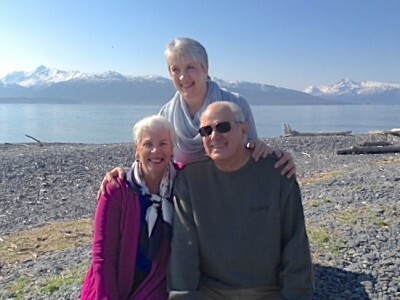 Bob has been involved in Alaskan education over a span of 34 years teaching and working in varying positions of school leadership from principal, charter school director, virtual homeschool support program director, and superintendent. Bob moved to the private sector as an education development executive for Apple, Inc. Technology, school partnerships and educational reform through performance-based learning have been trademarks of his schools and districts. He currently serves as director of the Association of Alaska School Boards Consortium for Digital Learning (CDL). He also has owned several businesses in the hospitality industry as well as being a commercial fisherman for 22 years. Bob has been immersed in digital learning through one to one learning environments for the past decade. He was involved with the CDL since it inception, helping to plan its purpose and structure. Through the CDL, over 120 schools in 32 school districts have moved to one to one projects impacting over 12,500 users. The Talk Story, Write Story model of face-to-face workshops and ongoing virtual mentoring through videoconferencing, teleconferencing, and email is a perfect way to demonstrate effective teacher professional development and writing instruction to students in real and meaningful ways. 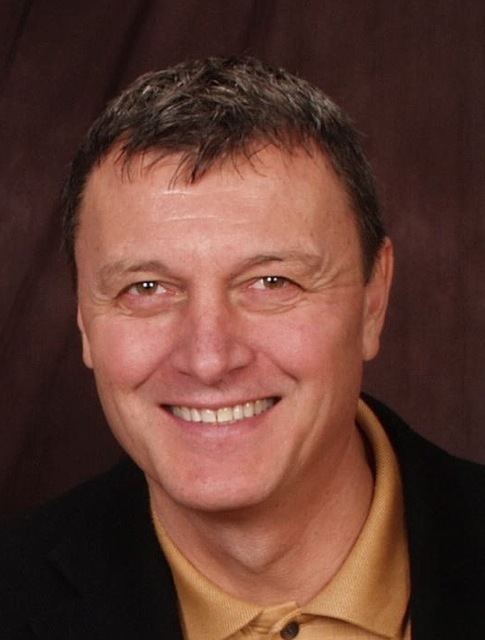 Bob has degrees in business administration/physical education from the University of Northern Colorado and a MEd. in Exercise Science form Colorado State University. He obtained his Principal certificate from University of Texas and Superintendent certificate from the University of Alaska. He recently completed a Ph.D. in Transformational Leadership at UAF studying the effects of 1:1 computing on K12 education in Alaska.